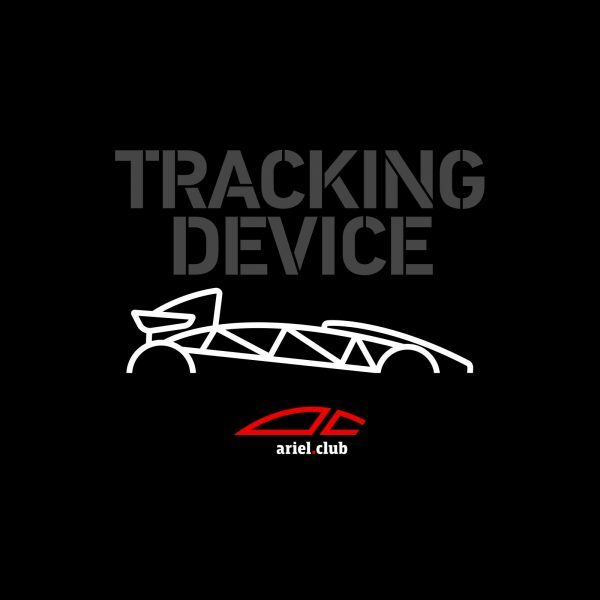 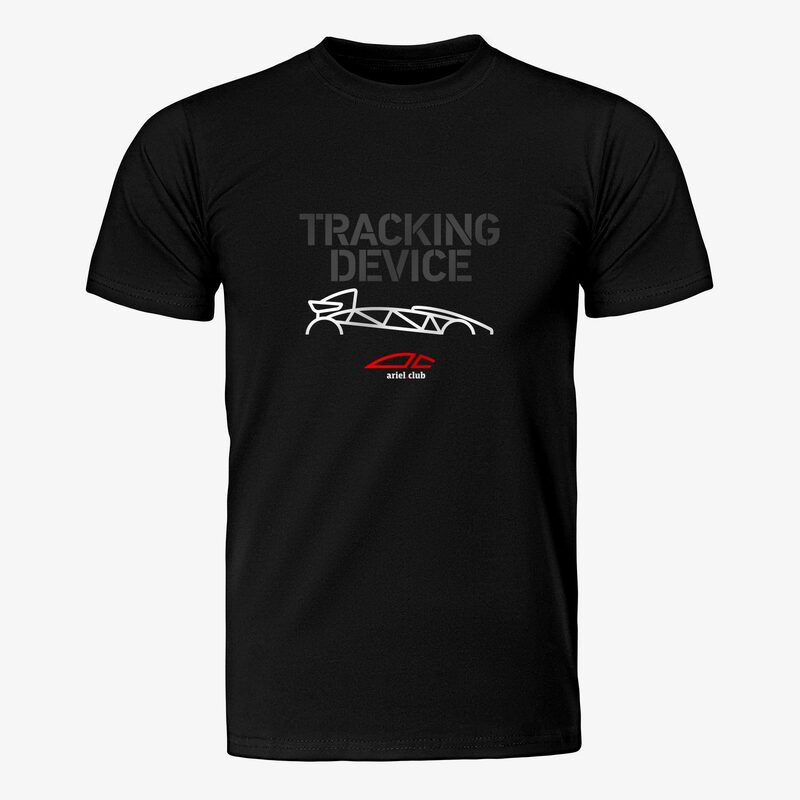 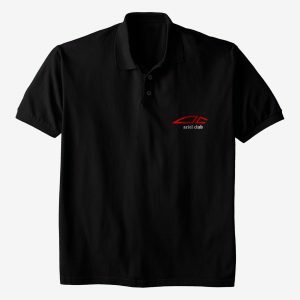 The TRACKING DEVICE t-shirt for all Ariel Atom owners and admirers. The Ariel Atom TRACKING DEVICE t-shirt from Ariel Club is made from black, heavyweight cotton and carries a three colour, computer-cut transfer graphic on the front. 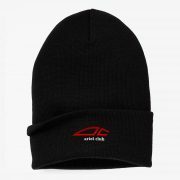 This means it is pin sharp and the colour is solid across the entire graphic. 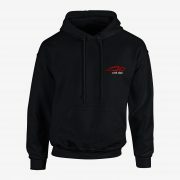 Deeply desirable and Atom proof.